Tim D from COMO (who you might remember placed third at the Jenny Cup last year) got one of the first Marinos to hit the Midwest. Note the offset seattube and downward sloping toptube- it might look a little different but it rides really well. 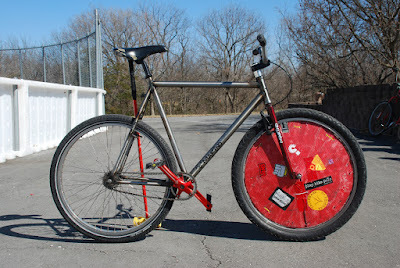 A little heavier than my Joust, but definitely has a tighter turning radius. 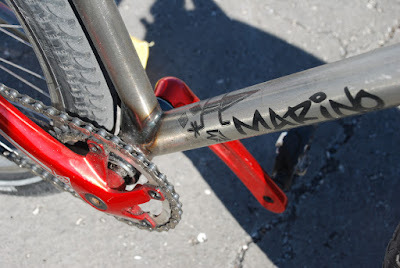 I've lusted after his bike for a while now and we even used it as a starting point to design Evan's Marino. Tim has now been kind enough to share the geometry with the rest of the poloverse. So there ya go guys, let's keep these custom frames comin'! Watch out, this ones a back breaker. 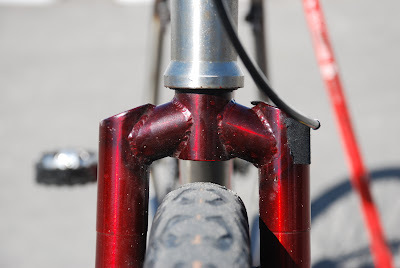 As in I rode it at the lock in, did a wheelie, couldnt get my feet unclipped and landed on my back.